This is "set B". 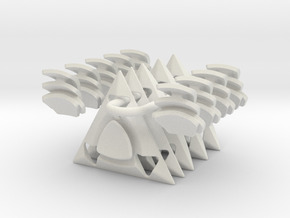 You will also need to purchase "Crystal Transformer Puzzle set A" for a complete puzzle. 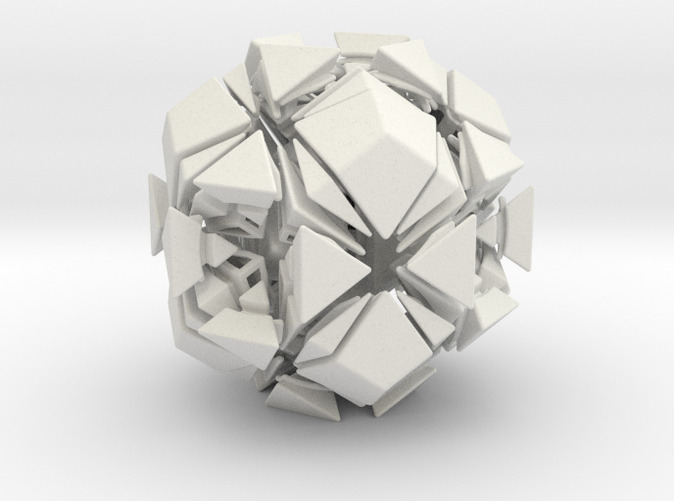 The Crystal Transformer puzzle is a combination of a skewb with a face-turning rhombic dodecahedron. 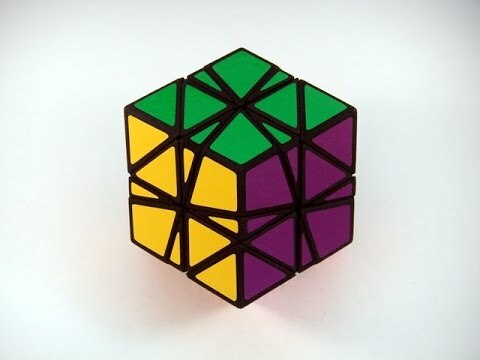 It is similar to Oskar van Deventer's Rhombdo Transformer puzzle, but in the Crystal Transformer the axes have been moved deeper to make all of the slices meet at the centers of the faces. 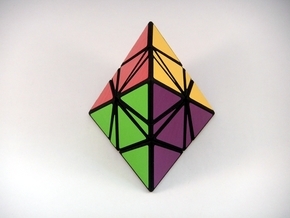 Skewb moves are deep cut and can change the shape of the puzzle, and the face turning moves can be combined with them to scramble the puzzle. Screws: Four 12mm M3 pan head screws are required, available in hardware stores or on the web. Springs: Four springs are needed, available in web puzzle shops. I get mine from HK Now Store. Assembly: Somewhat tricky as there are lots of tiny parts. 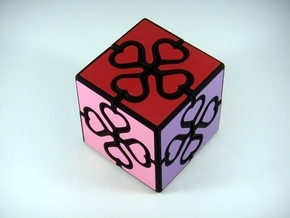 Solving: A difficult jumbling puzzle. Crystal Transformer needs to be handled very carefully. It is fully playable, but the thin wedges need to be moved along with a slice, and the puzzle will pop if not turned with care. Definitely not a speed puzzle! 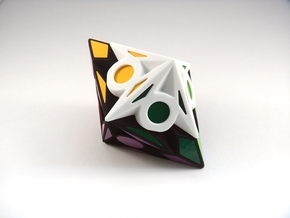 Please be sure to also order "Crystal Transformer puzzle set A", otherwise you will not have all the parts required!